The Victoria Falls have been billed as the Greatest Falling Curtain of Water on this Planet, making it one of the Seven Natural Wonders of the World. The Victoria Falls is considered to be the largest waterfall in the world. They are not the widest waterfall or the highest waterfall but with all dimensions taken into account, including almost the largest flow rate, they are considered to be the biggest curtain of falling water in the world. 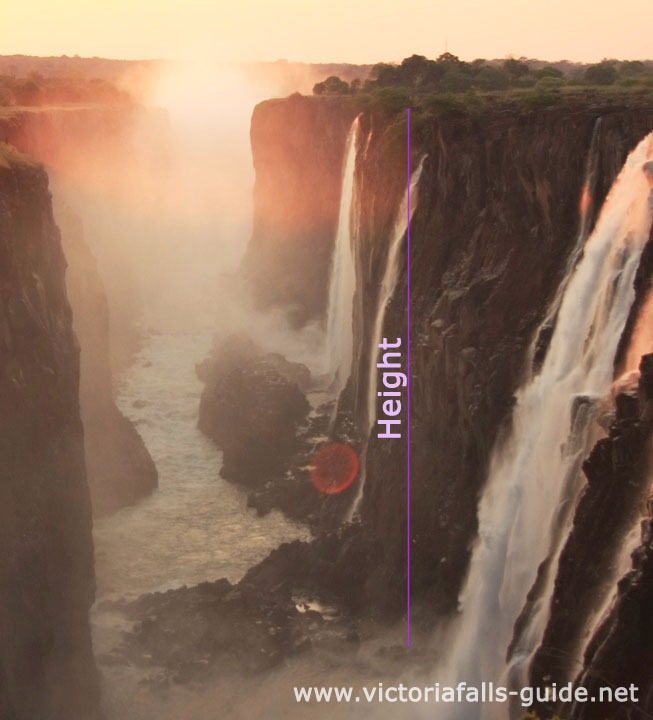 The Victoria Falls lower mean annual flow rate compared to these two giants is only because of the reduced flow it has during the long dry season of Southern Africa. 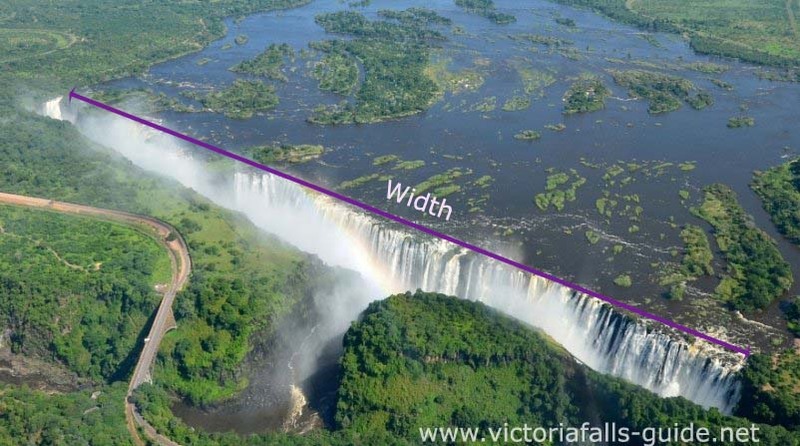 The Victoria Falls are 1700m wide and are made up of five different “falls”. Four of these are in Zimbabwe and one is in Zambia. They are known as The Devil’s Cataract, Main Falls, Rainbow Falls and Horseshoe Falls in Zimbabwe and the Eastern Cataract in Zambia. The Zambezi River's gentle meander through the African landscape is spectacularly interrupted as the river plummets over a knife edge cliff into a narrow chasm below. The height of this chasm varies from 70 m (233ft) to 108m (360ft). The name comes from the adjacent island in the river where the local tribes used to perform sacrificial ceremonies. When the missionaries arrived in the area they referred to these ceremonies as “devilish” and hence the name was given to this cataract. This is the largest waterfall and certainly the most majestic view of the falls. A wide curtain of water, with a peak flow rate of 700 000 cubic metres per minute. The sheer volume over the height of the falls is so great that before getting anywhere near the ground, the water is buffeted by the strong rising winds and turned into mist. As the name suggests these falls are shaped like a horseshoe. This is the section with the least volume of water and will be the first to dry up usually between October and November. This is the highest point of all the falls. On a clear day a beautiful rainbow can normally be viewed at this point. A Lunar rainbow may also be seen on a full moon lit night. These are the second highest falls and they are situated completely on the Zambian side of Victoria Falls but you can have a stunning view of them from the Zimbabwean side at danger point. These numbers seem inadequate to relay the awesome size and power of this the largest waterfall in the world. I hope that one day you are able to come and see for yourself…..
We found this website all about the world's most beautiful waterfalls The World of Waterfalls You'll find info, photos, stories, and travel tips about these wonderful curtains of nature.